Select a disk or a partition here to back up. 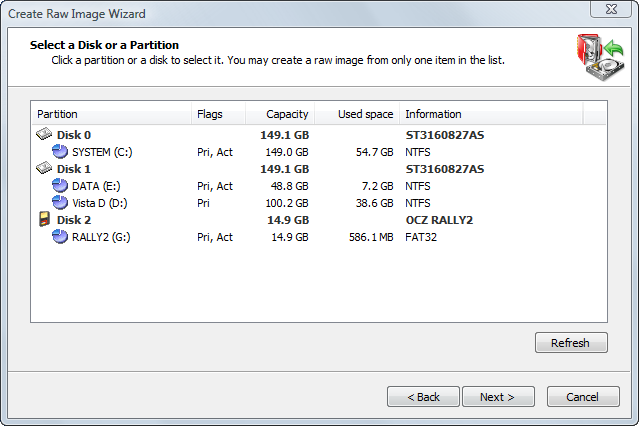 This list displays the disks installed in your system and the current partitions on them. Because a raw image supports only one partition or disk per image, you may enter a new image name into the File name field or use the Browse. . . button to select an image location in Open Backup File dialog box.